The cookie addiction is still very much present in the SIL house. We're making at least one or two batches a week - usually a batch of our Secretly Skinny Chocolate Chip Cookie Recipe and something new that I'm experimenting with. These cookies were a random experiment before we left for Louisiana and they so good that I could not wait to get home to make another batch. 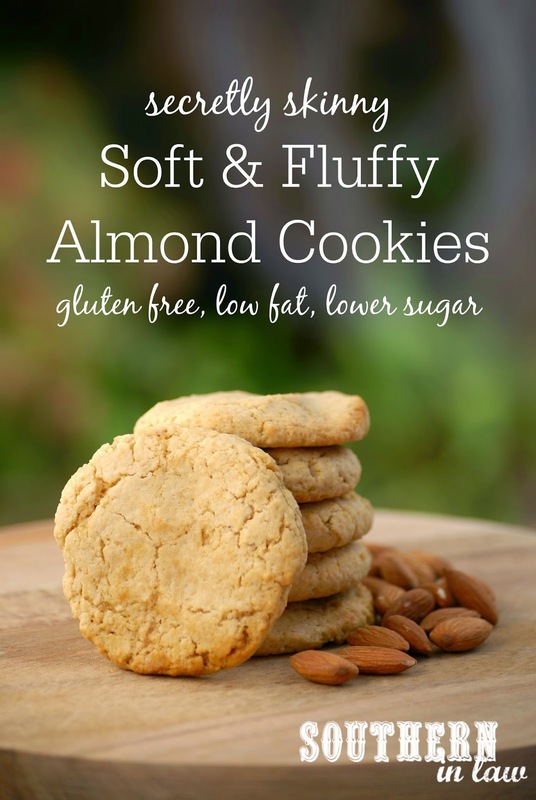 They're soft, fluffy and have the most increeeeeeeeeeeeedible buttery almond-y flavour - but they're way better for you. These cookies are gluten free, low fat and lower sugar but there's no way you could tell that from the taste. Jesse is struggling to work out whether these or our Skinny Chocolate Chip Cookies are his favourite but I think I'm starting to lean towards these babies. They're so soft and fluffy in the middle with slightly crispy edges. 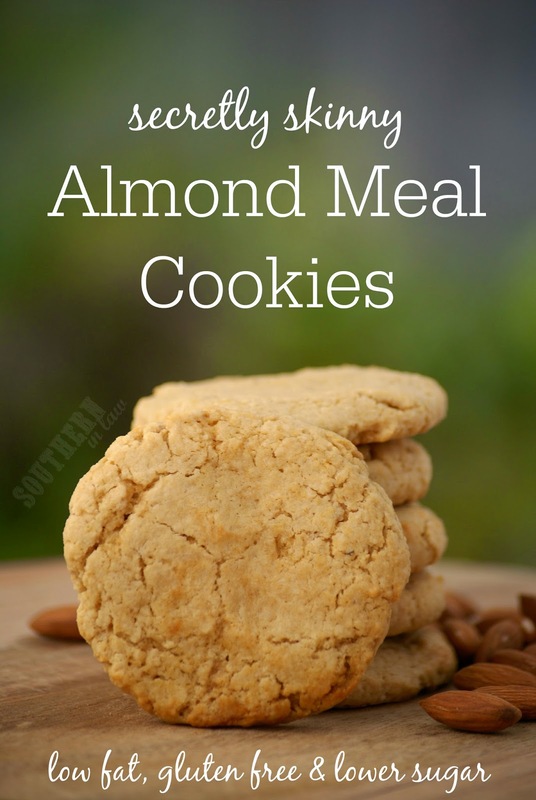 Unlike some almond cookies that are loaded with gross artificial almond essence, these babies are au naturel. In a mixer, beat your butter and sugar until light and fluffy. Add in your eggs and vanilla extract and mix until combined. Add your brown rice flour, almond meal, raising agents and salt to your mixer and mix on low until just combined. 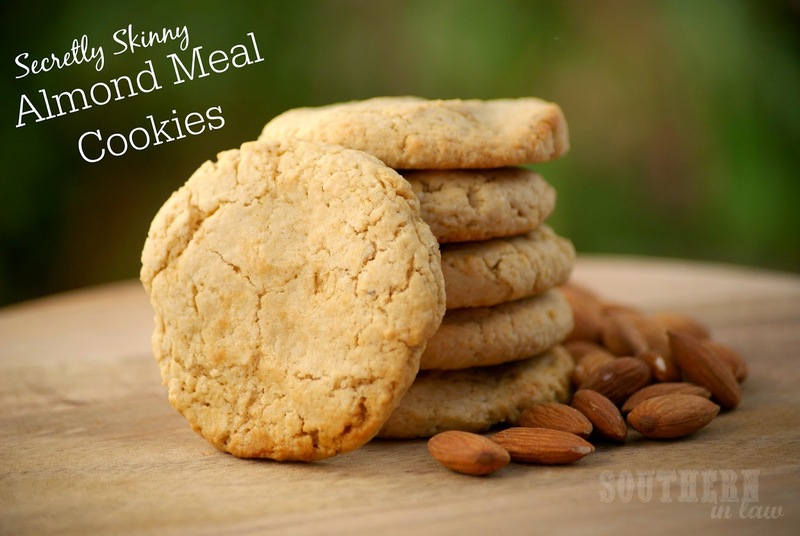 Take heaped tablespoons of dough at a time, gently roll into a ball and then flatten onto your cookie sheet, leaving about 1cm/half an inch of space between each cookie. The more you flatten your dough, the thinner your cookies will be. Once you've used up all of your dough, place your cookie sheets into the oven and bake for 8-10 minutes or until the cookies have just started to become golden on the edges. The cookies will be quite soft straight out of the oven so leave them to cool on the cookie sheets for 5-10 minutes before moving. These cookies will keep for 3 or so days in an airtight container (if they last that long!) and are best stored at room temperature. *If you like your baked goods sweet, use up to half a cup of sugar. But tell me - crunchy, chewy or soft and fluffy? How do you like your cookies? And what was your last kitchen experiment success? These look perfect! Soft and fluffy cookies are my favorite! The fact that these are soft and fluffy with crispy edges-perfection! can we use white rice flour instead of brown?